Photo by Scott Kennedy for The Montclair Dispatch. 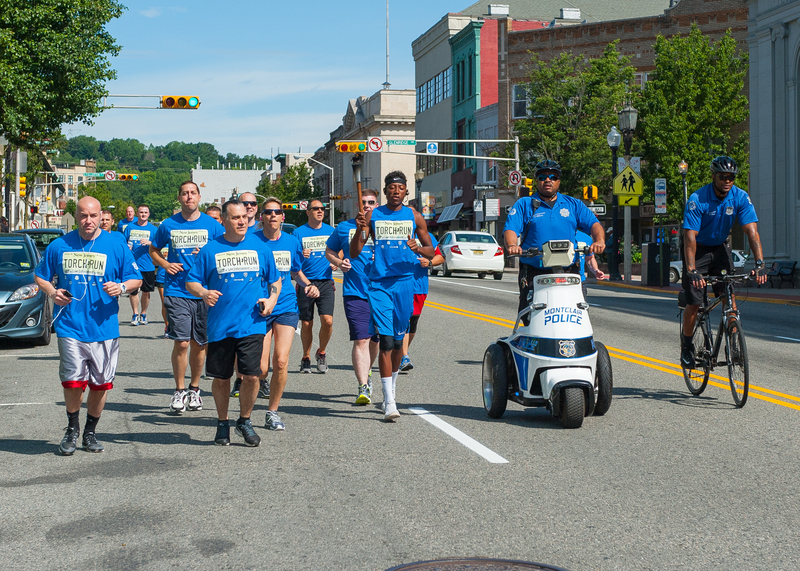 The Montclair Police Department assembled for the Torch Run for Special Olympics New Jersey. 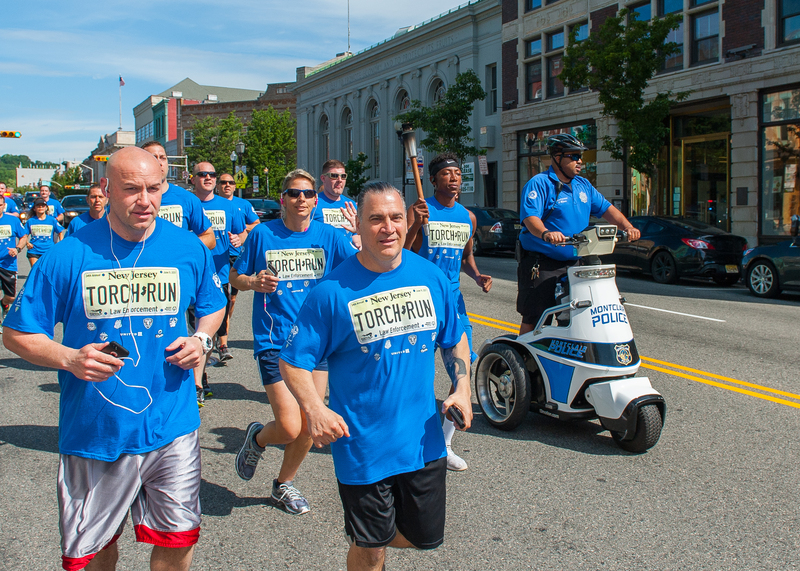 Friday morning, June 9, 2017, members of the Montclair Police Department gathered together for the 34th annual Law Enforcement Torch Run for Special Olympics New Jersey. 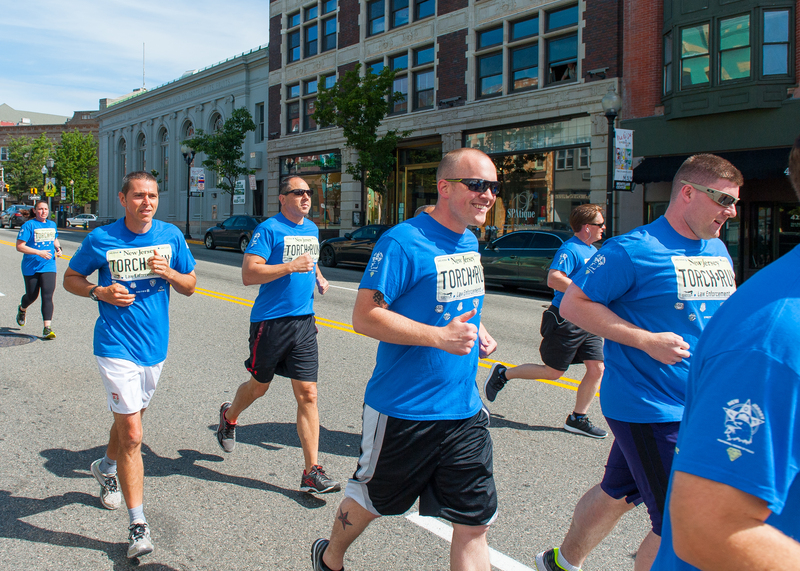 At 9:45 AM a group of members of the department, as well as family and friends, were running east down Bloomfield Avenue. 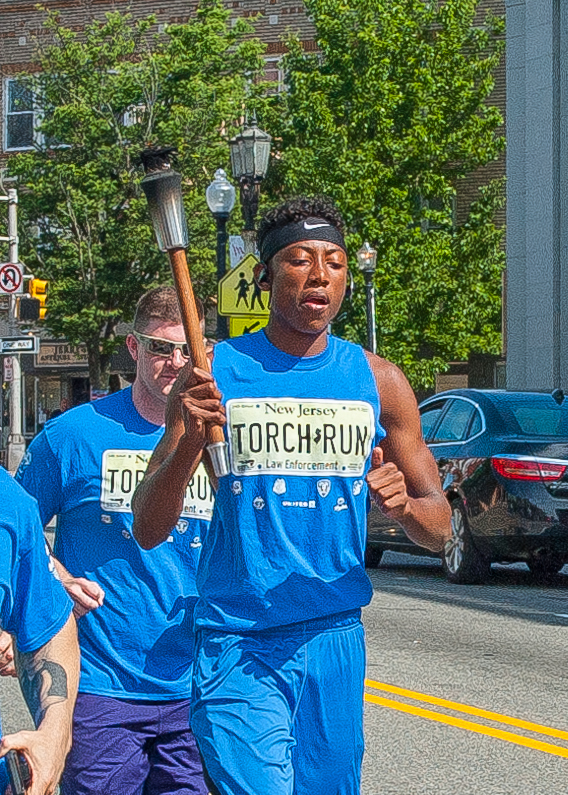 Leading the pack was Chief of Police Todd M. Conforti, while front and center was Montclair High School senior Dallas Young (the son of Deputy Chief Wilhelm Young) who carried the torch for Montclair. 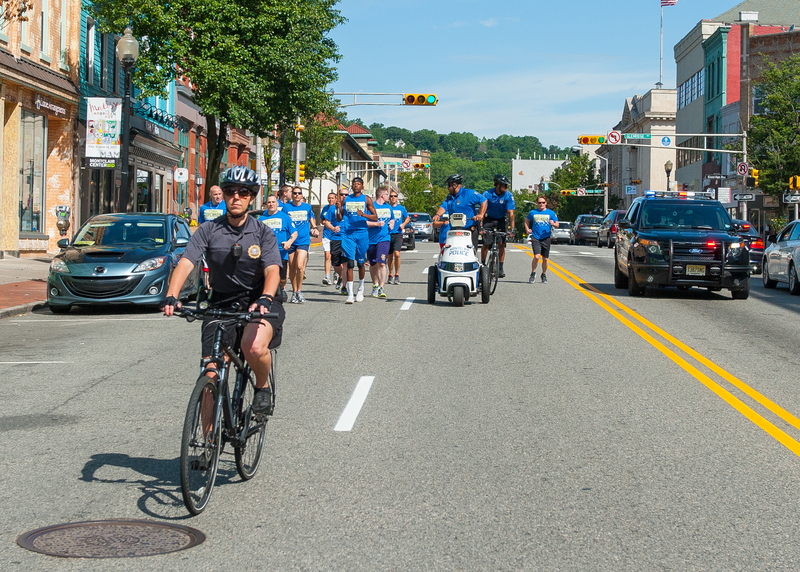 On this dry 70 degree morning, this group of runners were escorted by police cars, the fire department, as well as bike-mounted and segway-mounted officers as they raised money for the New Jersey Special Olympics in their wonderful Montclair blue shirts.